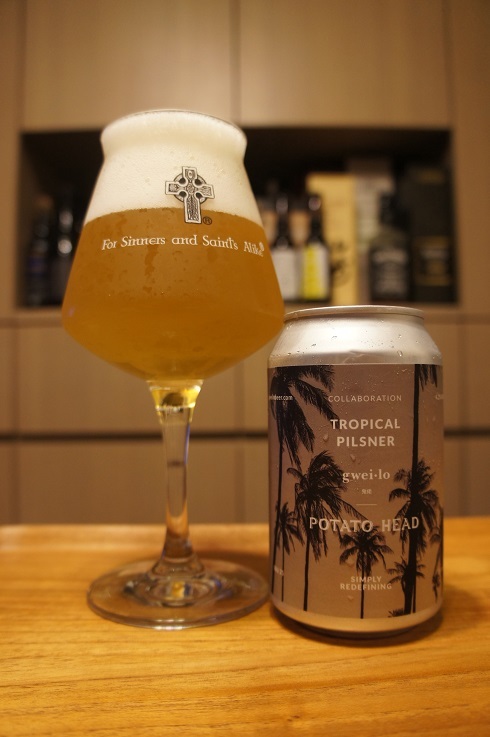 Brewer Description: (from can) Crafted with our friends at Potato Head, Tropical Pilsner will have you kicking back in no time. 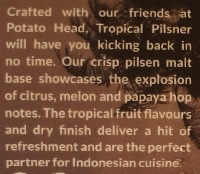 Our crisp Pilsen malt base showcases the explosion of citrus, melon and papaya hop notes. The tropical fruit flavours and dry finish deliver a hit of refreshment and are the perfect partner for Indonesian cuisine. Intro: A 330ml can with a best before date of 1st November 2019. Poured into a Lost Abbey teku glass. Appearance: A clear golden straw yellow colour with an almost three finger white head that had great retention and left some nice lacing. Aroma: Light grains, grapefruit rind, melon, passionfruit, papaya, floral, lemon zest and grass. Taste: Light sweet grain pils malt, grapefruit, melon, papaya, passionfruit, lemon zest, floral, tea. 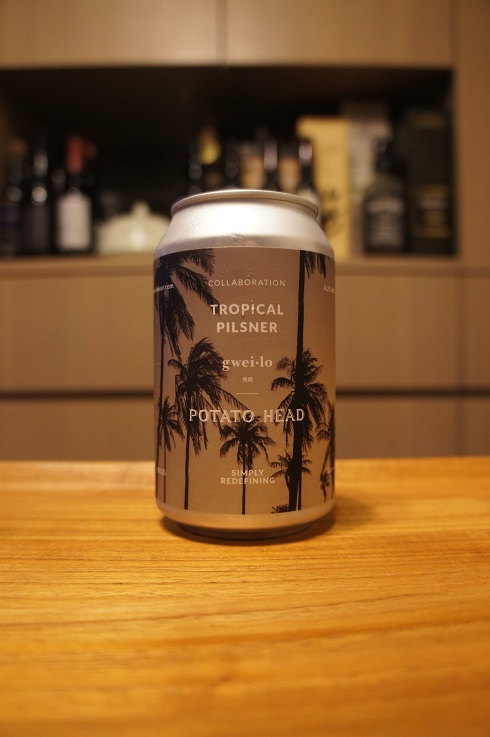 Overall: Self described as a tropical Pilsner, I believe its probably closer to an IPL, but regardless, the resulting aroma and flavours were right up my alley. Nice crispness makes it very easy to drink.